A simple flick of a switch eliminates the matter of darkness. The press of a button macerates coffee beans into powder, raises the garage door. Power prolongs our cache of food, fuels the heater, phone, computer, stoplight, stereo, gas pump, turn signal, internet. Electricity runs the machines that printed the pages you’re holding and muscles the bullwheels that spin us on chairlifts. But in a wind’s wisp that can all come to a halt. This past season, during the snowiest winter in 40 years, storms bore down on the Tetons with fury. One February day pushed the limits when 90 mph winds snapped 17 giant steel electric transmission poles along Highway 390. 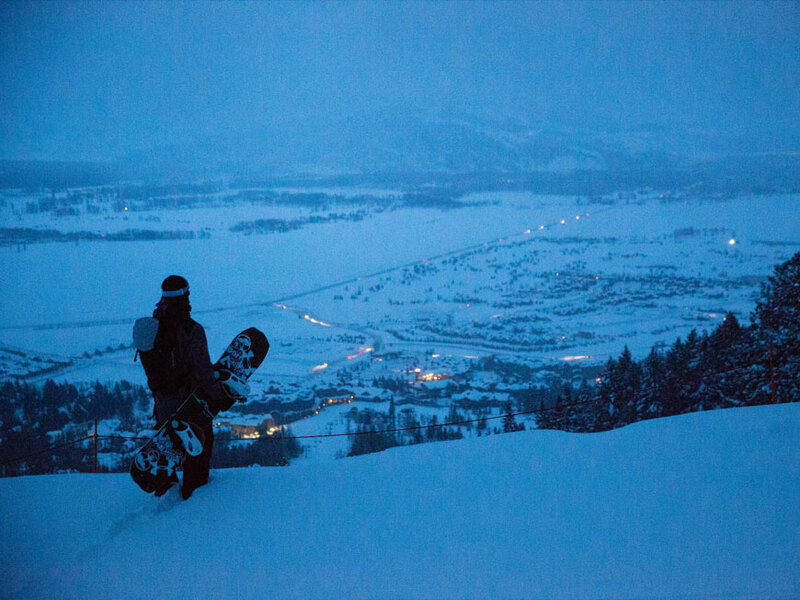 The lights went out at Jackson Hole Mountain Resort, the Jackson Hole Airport and for roughly 3,500 residents in the area. Mayhem ensued—flooding, collapsed roofs and road-closing avalanches prompted Teton County to issue a state of emergency. Meanwhile, a few lucky souls: Travis Rice, Mark Carter, Cam FitzPatrick and a mountain and media entourage that included yours truly, found themselves mid-mountain at JHMR, peering into the white valley below. Although the outage had forced the mountain to shut down (it would become the resort’s first multi-day closure since 1986), the ebony night was alive with rumbles from a fleet of diesel snowcraft, sipping on fuel and belching into the darkness. The generator-run spotlights burned into the dim hours as white flakes descended. Huddled around the scene was a crew fully clothed in winter armor. The power was out, but the supply of fuel was enough to carry on. 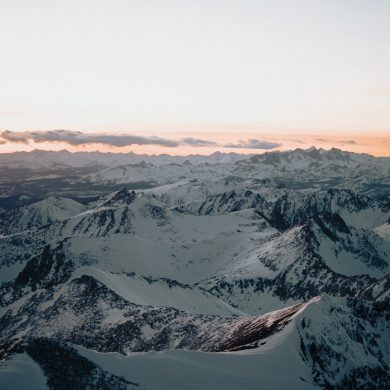 The group was fortunate to be there given the mountain’s condition; the mood was tense with crews working to clear unstable snowloads in the darkness. We unloaded at the base of the Teton chair and milled about. Snow falling across the snowcat’s headlights whirled into a trance of speckled light. It was still too dark to ride so the group shrugged off the minutes in paces and jokes. 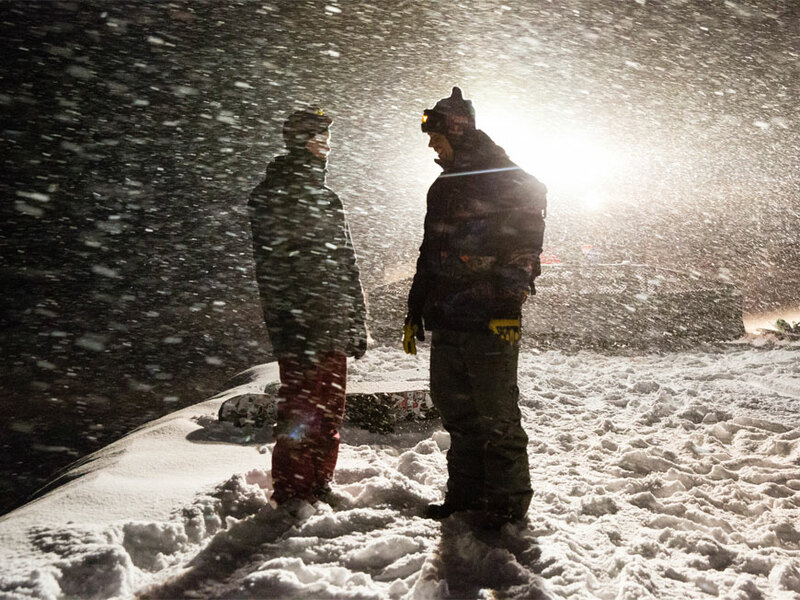 The riders were pushing for the X Games Real Resort contest. (JHMR would later claim a gold medal for their efforts.) 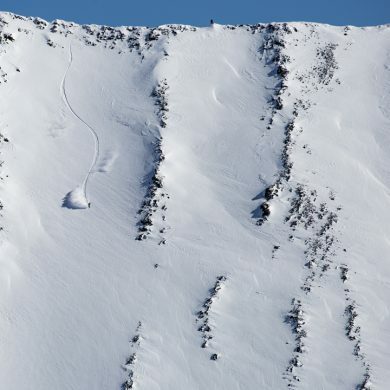 The spot in question was a sizeable cat track gap at the bottom of the lift, a feature near impossible to hit when the mountain is open and the lift lines block the takeoff. The gap appeared feasible, leaping from where you normally load the Teton chair over the road below into a wide-open slope. 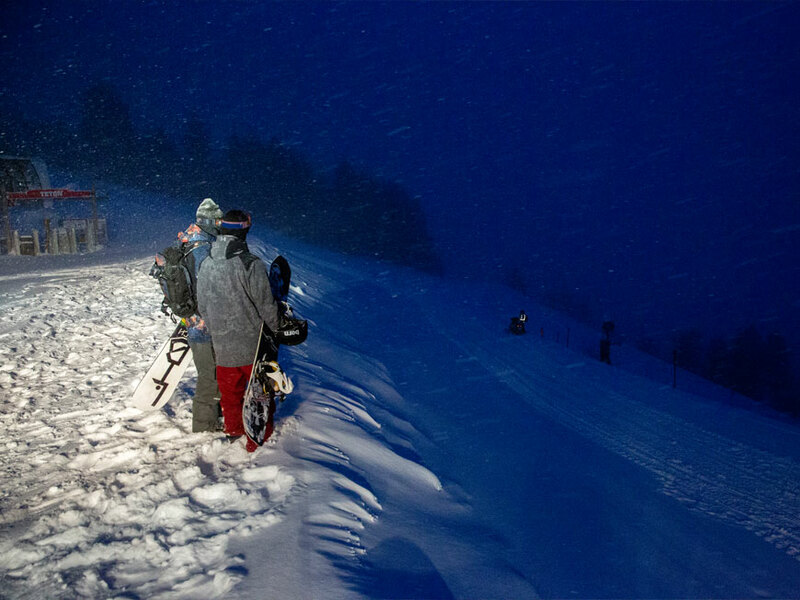 But the riders were skeptical: speed, a flat lip and variable snow in the landing were among the wild cards. The riders size up the gap and assess the snow. As day broke, power poles snapped like toothpicks emerged in the distance. The vacant mountain was blanketed in eeriness, yet it was a familiar feeling for the night groomers and mountain maintenance workers. Today was different, though. Nick Wilson’s would not brew coffee or pump out breakfast burritos, the lifts would not spin, the ticket scanners would not beep. Still, cars flooded into the parking lots full of hungry, oblivious riders. Soon there was enough luminous blue glow for the crew to size up the gap and feel out the landing. The slope had only a small cushion of fresh snow to cover the chunky and mogul-filled face. It did not afford the riders much hope. 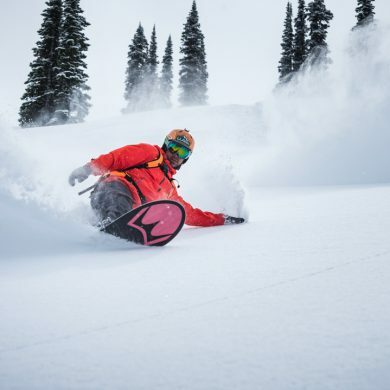 A mix of tension about the mountain’s shut down, a sprinkle of guilt for being the few on-hill, and the questionable over-the-road launch led the group to bag the shoot for a later day. We savored a few short turns back down to the parking lot, then scattered to our homes to wait out the rest of the storm. In the distance, work crews are already converging and surveying the damage. That week, road closures, storms and persistently high avalanche conditions kept the valley’s citizenry inside. Indeed, the elements pushed us to ponder things like roof snow load and a lifestyle that hinges on electricity and fuel. But the power was still pumping for most of the area, food was stocked, fuel was there; it wasn’t a dire scene beyond ground zero—a dim Teton Village road lined with snapped electrical poles and a flurry of workers rushing to fix them. No, it was not like the islands of the Caribbean decimated by tropical storms or the ravaged Puerto Rico, its people left to fend for themselves in a cruel new water world. It was not like Houston or Florida, swallowed by floods, or like California, where wildfires killed dozens of people and charred thousands of homes. Still, that week in Jackson Hole, like the more calamitous events in other parts of the country, was a potent reminder that Mother Nature, inflamed by climate change, rules the land. It was also a reminder that people have inflamed her, that they are accelerating her wrath. Ben Gavelda is the 2017 National Hermit Crab Race Champion.